What games do we make? 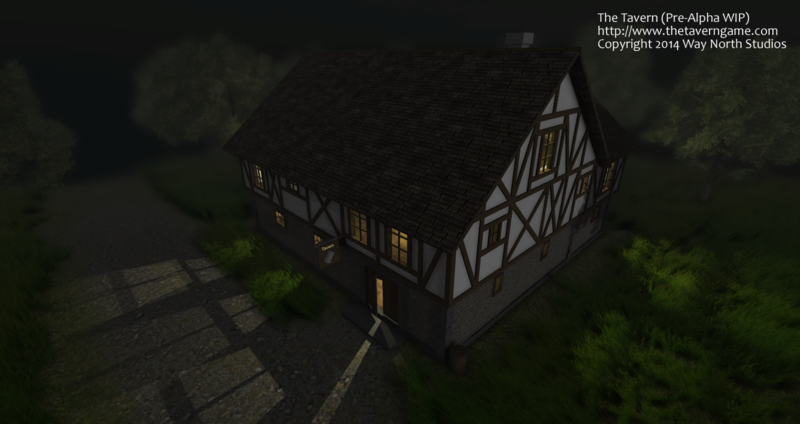 At the moment we are working on the early prototype for our first game – The Tavern – which we are creating in Unity. The Tavern is a short-story oriented, event-driven “Socially Multiplayer Online Roguelike Roleplaying Game” (or a SMORRPG, for short), set in a pseudo-medieval sword & sorcery-like fantasy world. It has a split focus between solo adventuring and socializing/interacting with other players in social hubs, aka taverns. Each adventure consists of a self-contained short-story where the player chooses his path through the world in order to arrive at the end of the story and resolve the adventure objective. Randomization, branching choices, unique events, rare monster encounters and special character class abilities all help making each adventure a unique experience for the player. However, every adventure has both a beginning and an end, and all the adventures in this game both start and end in a tavern. Here, would-be heroes and adventurers gather to chat, drink, boast about their latest heroic achievements, compete in a number of mini-games or challenge each other to friendly duels. More news, information, screenshots and videos of the game will be made available on the game’s website as development progresses. No release date has been set for the game yet.